A fashions that emerged in 2017 are FT8. It looks like JT65 and JT9, but the transmit / receive cycle is not 60 seconds but only 15 seconds. This allows QSOs to be handled 4 times faster. 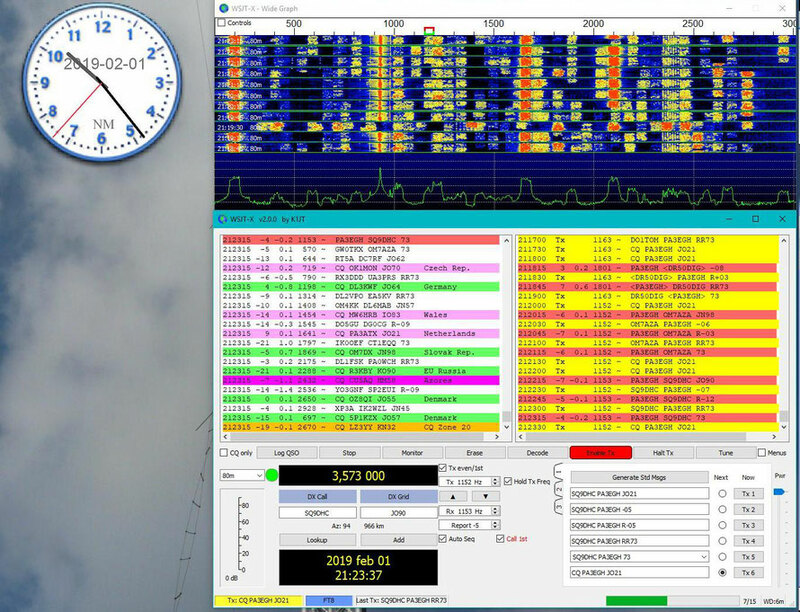 The disadvantage of FT8 is that the sensitivity is less than with JT65 and JT9. In these "old" modes we can still decode signals up to -30 dB, with FT8 it keeps at -20 dB. Even if not very sensitive, especially compared to psk and ssb. With the arrival of the latest release candidate, the sensitivity has increased and I have been able to decode signals up to -25 dB.